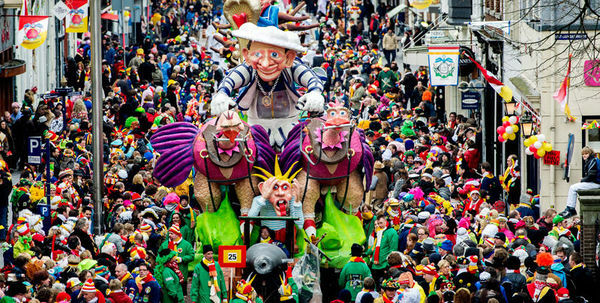 "In Maastricht carnaval is called Vastelaovend. Virtually all businesses close in a three-day celebration of life, spring, beer and friendship, though in the province of Limburg there is an added element of poking fun at the government and politics. " "The 1st day of Carnaval is six weeks before Easter Sunday and the festivities last 3 days. " "People get dressed up and go from café to café, singing songs, dancing and drinking"